Latina: Carolus I Imperator Caesar et imperator semper augustus ab dei gratia. Imperator Austriae et rex Hungariae et Bohemiae. 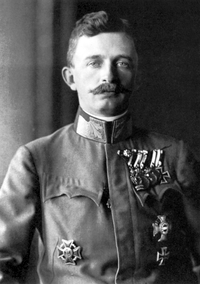 Pages in category "Karl I of Austria"
Media in category "Karl I of Austria"
This page was last edited on 24 February 2019, at 17:24.